How many times have you passed a vehicle that belongs to a company and bears their company logo, name and type of business? How many times have you judged that company's quality of workmanship and pride in quality by the appearance of that vehicle you just passed? I know that I have and so do many other motorists. 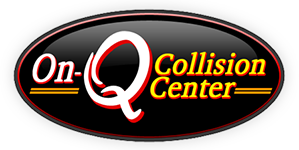 If you own a fleet of company vehicles or are responsible for the maintenance of a fleet of company vehicles, On-Q Collision can help you maintain your company's reputation. Often times these company vehicles portray the first impression consumers have of your company. When you first purchased them, you were so proud. Proud to have your business name and information out in the open road where the general public can become acquainted with you and what you do. But time and travel have maybe taken a toll on your vehicles. Maybe they don't look at good as they did once. But, you are busy making a living and don't have time for your vehicles to be out of service. We understand that. We offer one of the shortest repair cycle times in the area. But we never cut corners or skimp on quality. We just work harder to get your vehicles back in service as soon as possible. Thus reducing your down time and lost revenue. We also offer reduced rates for fleet repairs. Give us a call. We would be happy to meet with you to see what we can do for you and your company to help get that rolling billboard shining like it once did! We will come to your business, meet with you and develop a plan together for your current needs and future goals. We love to make you shine! Call Jeff today at (715) 446-1300 and ask him to stop out for a free fleet repair evaluation.